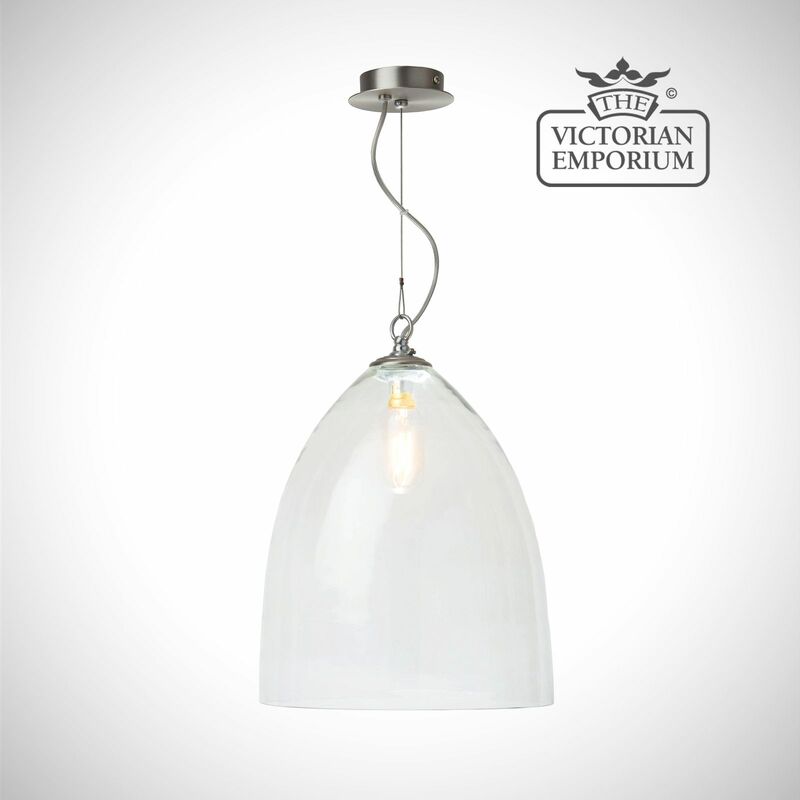 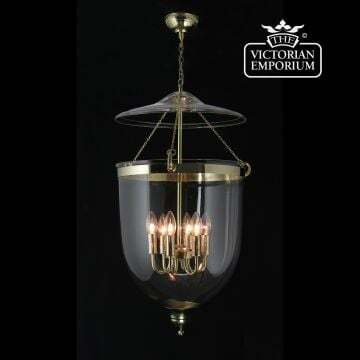 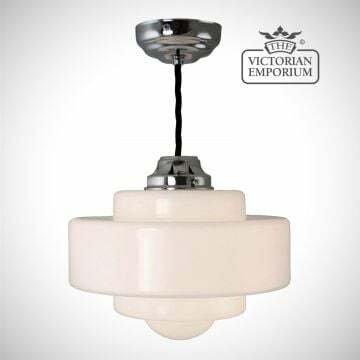 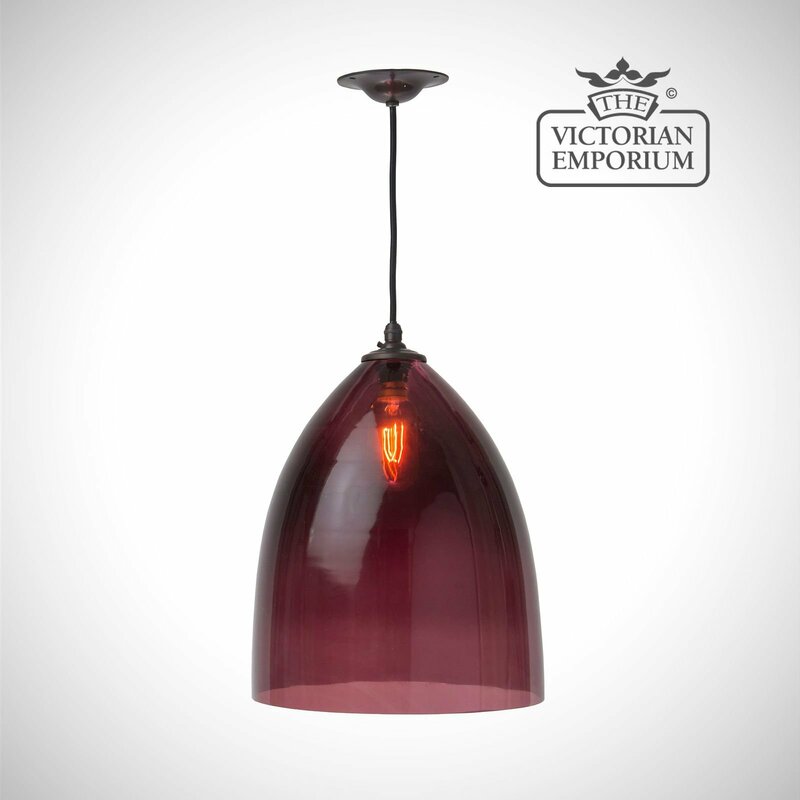 This is a pendant with a hand blown glass shade in a choice of sizes and colours - can be selected to match or contrast with your interior colour scheme. 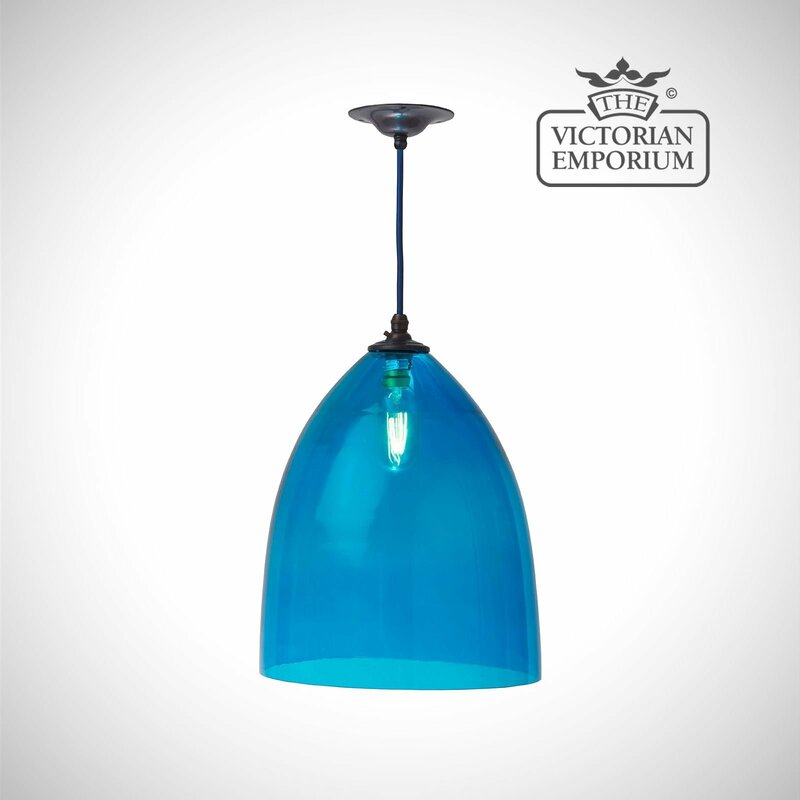 These hand blown glass shades have a beautiful sheen and colour variegation, bubbles and imperfections due to the handmade nature of the glass. 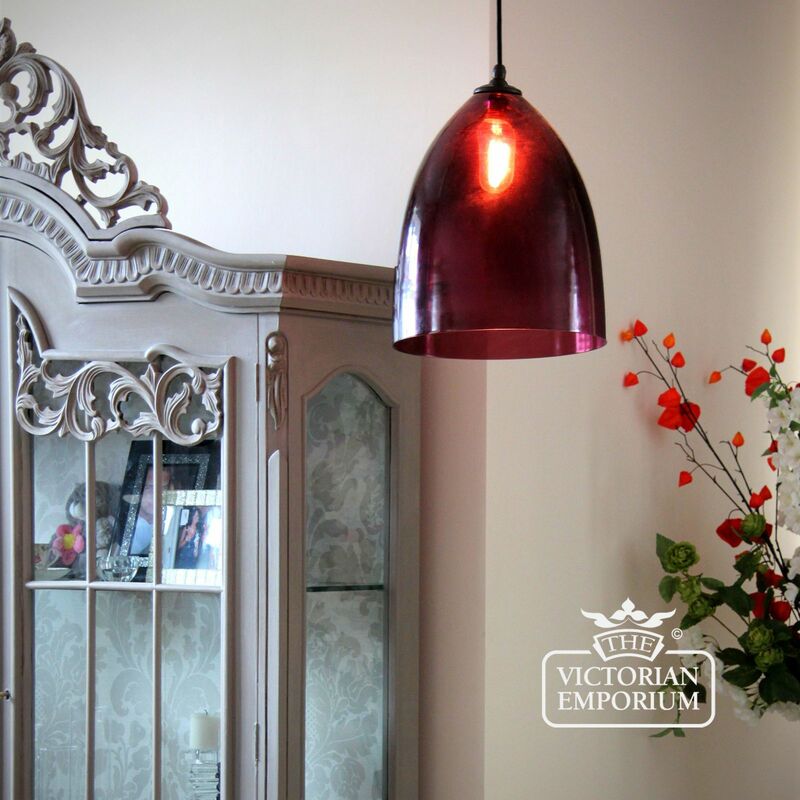 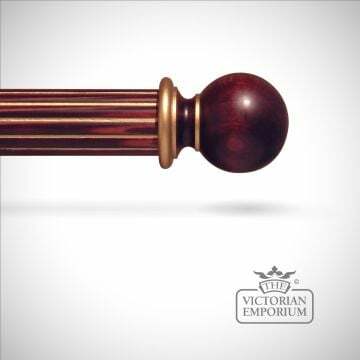 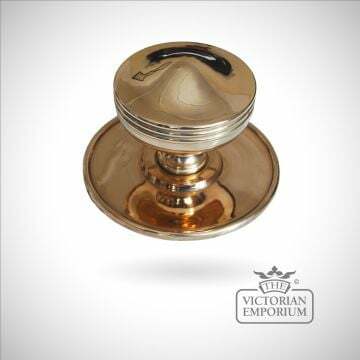 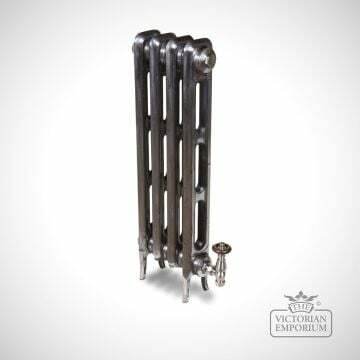 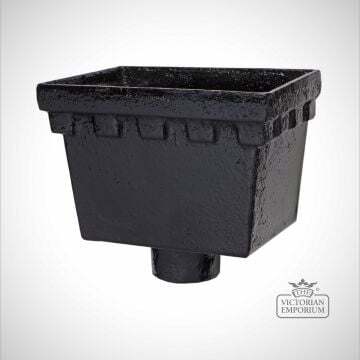 A choice of cable colours are available and a choice of metalwork including matt nickel, chrome, antique bronze, polished brass, distressed brass or matt black.